In what looks like a preview of the All-Star Three Point Shoot-out, the NBA’s new holiday video features some of the game’s best marksmen. 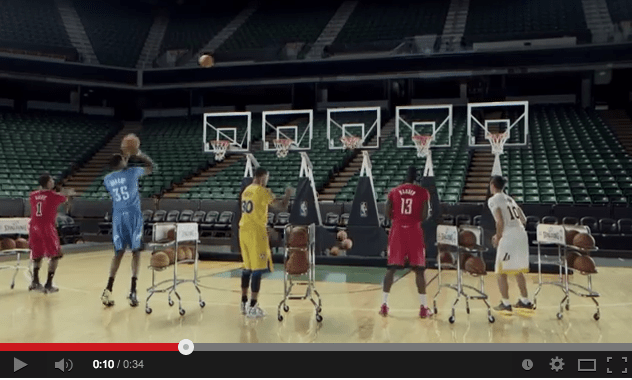 “Jingle Hoops,” the follow-up to last year’s highly touted “Carol of the Balls,” displays the shooting skills of Derrick Rose, Kevin Durant, Stephen Curry, James Harden, Steve Nash and LeBron James. The players shoot perfectly choreographed three-pointers into baskets donned with bells to create a unique rendition of Jingle Bells.